This article describes the RSA Algorithm and shows how to use it in C#. We sometimes need to hide our confidential data from other users. For that purpose we use encryption algorithms to encrypt our data. There are very many encryption algorithms but I am describing the Rivest, Shamir, Adleman (RSA) Algorithm. 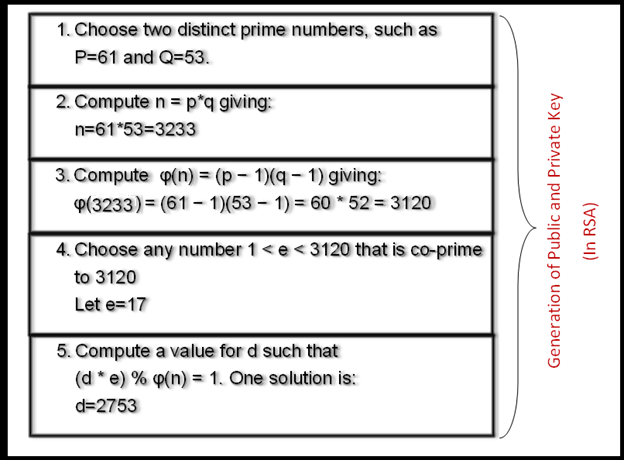 The RSA algorithm is the most commonly used public key encryption algorithm. It is also known as asymmetric cryptography. Two keys are used: Public Key and Private Key. Private Key: For decryption, also known as a secret key. So in a public key cryptosystem, the sender encrypts the data using the public key of the receiver and uses an encryption algorithm that is also decided by the receiver and the receiver sends only the encryption algorithm and public key. But by using the public key, data can only be encrypted but not decrypted, and the data is only decrypted by the private key that only the receiver has. So no one can hack our data. Public Key: Shared with the public that wants to send us data. Private Key: Kept secret so that when someone sends us data encrypted by our Public Key, we can decrypt the data using the Private Key. Both users (sender and receiver) generates a public and private key. 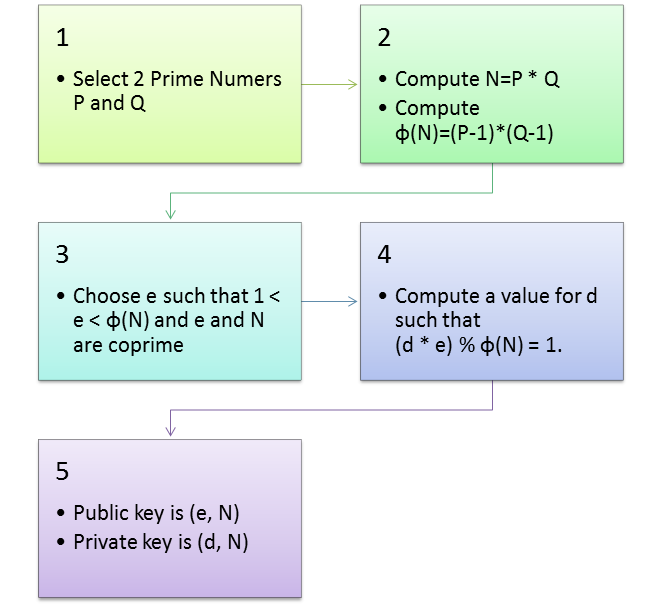 The following is the procedure for generating a public and private key (see flowchart). The flowcharts above shows how to generate a public and private key using RSA. After getting the public and private key the main thing is how to encrypt and decrypt using RSA. 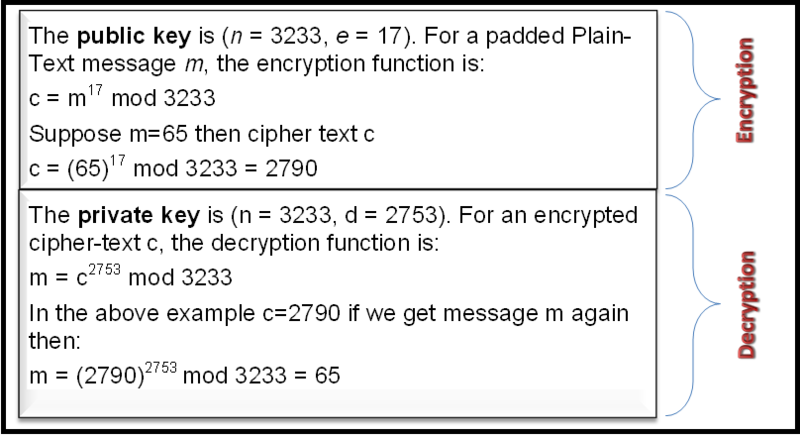 Example of RSA: Here is an example of RSA encryption and decryption with generation of the public and private key. 2. Select "File" -> "New" -> "Project..." or press "Ctrl +Shift +N". 3. Now select "Windows Forms application" from the Visual C# templates. Now for the coding part. 2. Now make a function for Encryption.